I was actually planning on doing a part 2 of my January Reads, but it turns out I didn’t finish any other books! I did read one more book I didn’t review because it was a science, non-fiction ebook with career advice but I had such grand reading aspirations and…it just didn’t happen. But I definitely want to keep up with these posts on a near-monthly basis, so here goes February. Sorry for the lack of photos, 4/5 of these were ebooks. I have been reading a lot of poetry lately because I’m writing my thesis and they are short, lovely little distractions. 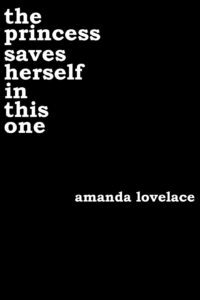 I read the self-published version of The Princess Saves Herself in this One by Amanda Lovelace, but it was actually recently re-released with additional content by a publisher so I’m curious to pick it up again. I was visiting an awesome book store in St. Louis earlier this month and somebody was also interested in this after having loved Milk and Honey, which I actually also read in February, and I definitely recommended it for fans of Kaur. But honestly, even though it verges a little on cliché at moments, this is easy-to-read poetry that hooked me with its short and emotional moments. Occasionally it does feel like line breaks in a sentence rather than poetry, but it is both raw and empowering overall. While I can still appreciate many moments of The Princess Saves Herself in this One, I definitely think it’s best suited for a younger audience and I hope the people who could use it, find it. 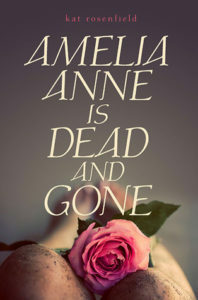 The only novel I finished in February was Amelia Anne is Dead and Gone by Kat Rosenfield, and it was definitely a worthwhile one. I’d had this book on my shelf for…years. I actually wanted to read it since it was first released in 2012 and it’s embarrassing–and my loss–that it took this long. This is an absolutely beautifully written young adult mystery which is told from the perspective of Becca, a girl spending her last summer at home in a small town with her boyfriend before she goes off to college. There are snapshots of Amelia’s perspective as well, leading up to the moment she is found dead on the side of a dirt road near where Becca lives. The writing is lyrical in a way that is almost mystical, and it gives the whole novel this moody poetic atmosphere. I wish that I had gotten to know Amelia a bit better, I actually preferred her sections of the book, but overall I fell in love with the story and especially Rosenfield’s words. She has only one other novel so far, a psychological thriller called Inland, and I definitely plan to pick that up in the near future as well. 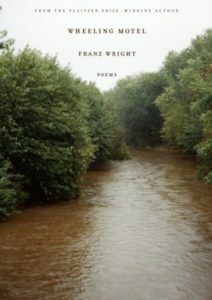 Still, when I read a collection of poetry I really love I instantly rush to pick up the rest of the poet’s work, and that was not the case for me with Wright. Still, Franz Wright did win the Pulitzer Prize (for another collection) and there is a dark power to his writing, so I may give him another try in the future. Like you were in a revolving door? I don’t know how old Lanuza is, and maybe I am just too old for her words, but the collection itself reads teenage and full of angst to me. It’s a short, quick-paced book and the poems are easy to digest, but for me, it was just a little too easy to digest and I like poetry that challenges me a bit more. 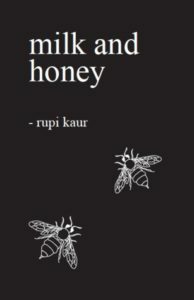 If there’s one book of poetry I have seen a lot of around the internet over the last year, it’s definitely Milk and Honey by Rupi Kaur, so of course I had to pick it up. 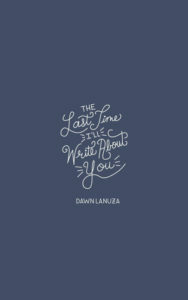 This is an honest, straightforward collection of poetry that is really filled with strength. Sometimes it verges into the too-simple, but I guess I just really like metaphors and descriptive language. I really love the messages behind the writing, even if, similar to The Princess Saves Herself in this One, I was occasionally underwhelmed. I think this is a good poetry introduction, that I know I would have fallen in love with as a teenager but still enjoyed now. I think I expected a little more given everything I’ve heard about this collection, but I am glad Kaur’s voice is out there and I would definitely pick up future collections by her as well. I am curious to see how her voice, and words, change and mature over time. That’s it for me! So far, I’ve only read one book in March so I’m not sure about doing another one of these posts, but I still have a few days left to finish up one or two more! What have you been reading lately? Also, just another apology about being so absent on this blog and social media. I am really in the crunch time of my thesis, and I hope to be around a little more often in a couple weeks.